Adam Schwartzstein is a partner in the New York office of Lewis Brisbois and a member of the General Liability and Transportation Practices. He is admitted to practice in New York state and federal courts. His practice includes the defense of motor carriers, municipal bus operators, school bus companies, paratransit operators and livery companies. He acts as regional counsel for a nationwide trucking program where he supervises and coordinates transportation defense litigation to ensure that the client is receiving the best legal representation from the moment an accident occurs. He is actively involved in overseeing and handling 24/7 emergency response investigation of catastrophic events for the numerous trucking companies he represents, including the immediate preservation of evidence, and the mobilization and retention of all necessary experts. 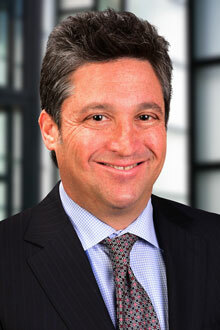 He has extensive experience in high exposure personal injury cases and claims of wrongful death. In addition to transportation, his practice areas include the defense of building owners, property management companies, restaurants and bars. Prior to commencing his civil practice career, Mr. Schwartzstein was a prosecutor for the City of New York specializing in cases against individuals under 16 years of age who were criminally charged with serious crimes. “Rapid Response Protocol 101 & The Empathetic Approach To Catastrophic Claims In Trucking Cases” Lewis Brisbois Webinar (July 2016).